Since the year of its inception in 1999, CNM Die Casting has consistently endeavoured for achieving sustained excellence in every sphere of its business. 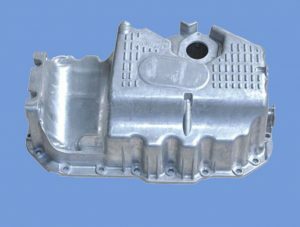 Though we started as a supplier of zinc die casting, we have diversified to aluminum die casting, recently. And this has borne rich dividends both in terms of customer satisfaction and company revenue. Die casting aluminum is our forte and our cold-chamber die casting machines are typically used to conventionally die cast components using aluminum alloys. A380 aluminum die casting is our speciality that provides an excellent combination of material properties and ease of production. Over the last few years, St Clair die casting has offered its services of aluminum die casting components for a wide range of markets. This includes industry sectors like an appliance, automotive, electronics, and instruments etc. And the demand is only growing higher every day, the reason for this burgeoning need is our quality services coupled with prices that are best in the industry. Order with us to believe us! And we assure you long term dependability and quality.